Home / Articles / Columnists / Sports Feature / Feeling Betrayed Marlins Fans? As a boy growing up in Baltimore, I can still remember my family’s Sunday morning ritual: morning mass at our local church, followed by a hearty breakfast which generally consisted of bacon and eggs, and accompanying the day’s activities, as well as acting as our soundtrack, the “Baltimore Colts fight song” (usually played by yours truly on a continuous loop). After that we’d pile into the car, or gather around the set, to watch our favorite NFL team. If this behavior seems a bit strange, if not downright odd, I can assure you there were countless other families in and around the Baltimore metropolitan area who did exactly the same thing (except for the bacon and eggs part, but you get the idea). What this ritualistic behavior signified was more than just a love of team; it was an expression of civic pride, both in the Colts and in us for being from a town associated with the Colts. When that team packed up and left town in 1984, an entire generation of NFL fans was cut adrift and betrayed. They might once again care about another team, but it would never be like the way they cared about that team. 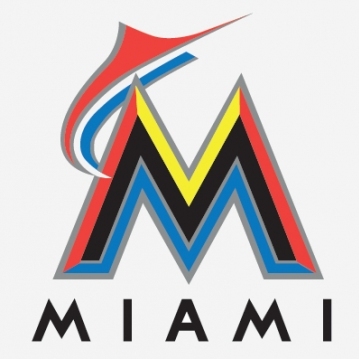 Fast forward to the present day and our local baseball team: the Miami Marlins. Ownership recently traded FIVE of its best players, and in return, it received a boatload of prospects (which in baseball terms means they traded good players for hope-to-be good players someday). On the face of it, the move could be deemed as defensible. After all the Marlins lost 93 games, finished last in their division and drew smallerthan-anticipated crowds to their brand-new ballpark. This was the same ownership which dumped, or refused to resign, its players after it last won a championship in 2003. Moreover, it was at least the third or fourth time in the franchise’s brief history when a successful season was followed by a wholesale dismantling of the team. Marlins fans are angry and they should be. It’s hard to be loyal and care about any team if management consistently put profits ahead of success. Now, another generation of kids will grow up never knowing or appreciating what it means to have your team win and to share that experience with your neighbors and friends. Fans in Miami are not alone; this same feeling of loss can be retraced to fans of other franchises who’ve had their hearts broken, be they from Cleveland, Baltimore or even Brooklyn, and while those teams packed up and left town, the hurt remains the same. After all, betrayal doesn’t distinguish its pain, does it?